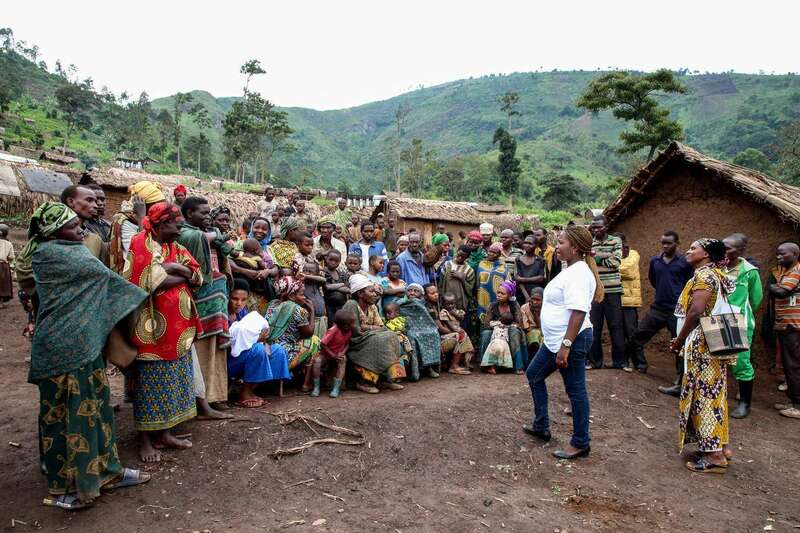 DRC: "There is no health without mental health"
MSF in Mweso Stanley's story Jaqueline's story "No health without mental health"
On the edge of a copse of eucalyptus trees, a play is under way. It’s a familiar tragedy with an identifiable cast: a drunk abusive father, a put-upon wife, and a daughter on the cusp of womanhood. What’s not so typical about this theatrical display is its actors. “When you’re displaced from your home, your thoughts can be displaced too,” says Sifa Clementine. 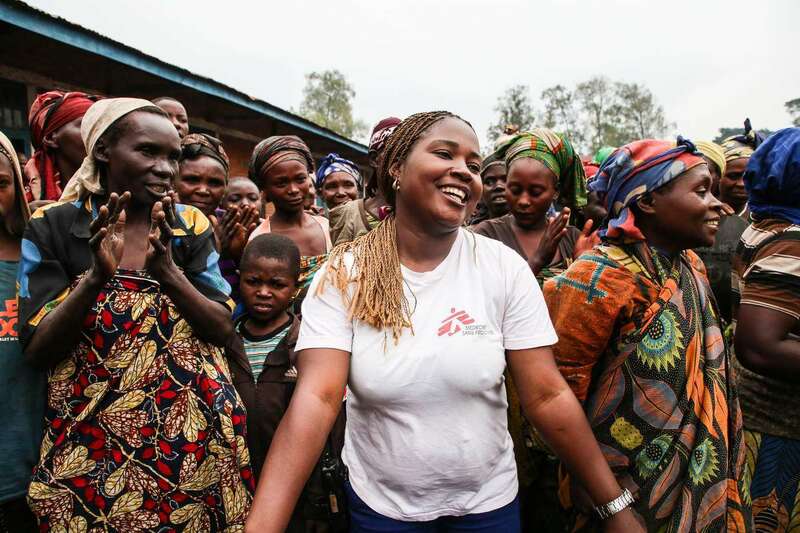 Sifa oversees MSF’s mental health activities in Mweso, a small town in the east of the Democratic Republic of Congo. Today, Sifa and her team are running a theatre production on sexual violence for the local community. The setting is the displacement camp that sits across the road from Mweso’s General Hospital, where Sifa and her team work. The actors in the play are all MSF mental health counsellors. Over the course of the next three hours, the team connects with the 200-strong audience through song, dance and drama. At the end of the play, there’s a valuable moment for the audience to reflect on what they’ve seen, as a form of group discussion. The event is designed to inform the people of the camp that MSF is in the community, and is there to listen. “When we see a problem in the community, we act out these problems and educate in this way. “Often, a person's behaviour is affected by what they have gone through. That is when behaviour changes." Referring to the character of the daughter in the play, Sifa goes on to explain: “In her village, for example, she didn't drink alcohol, but now she does. She steals food in the house and she sells it for drinks. 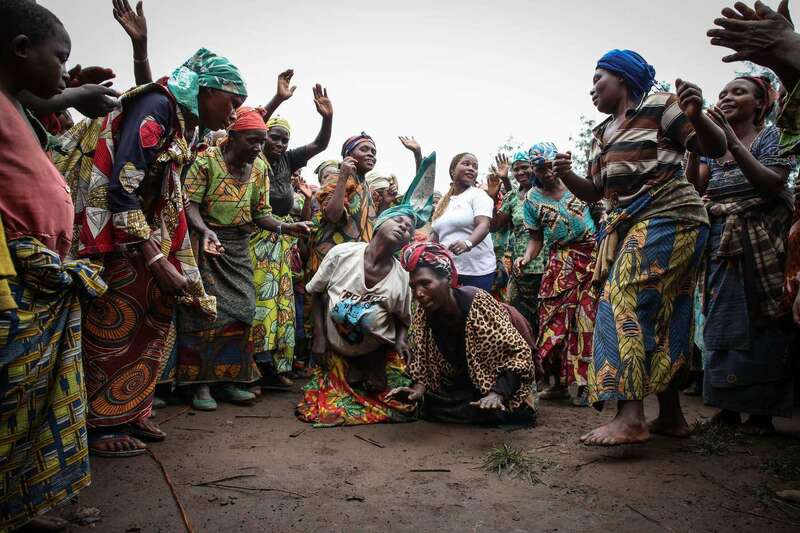 MSF’s mental health work in Mweso began in 2009, helping local communities and people displaced by conflict. 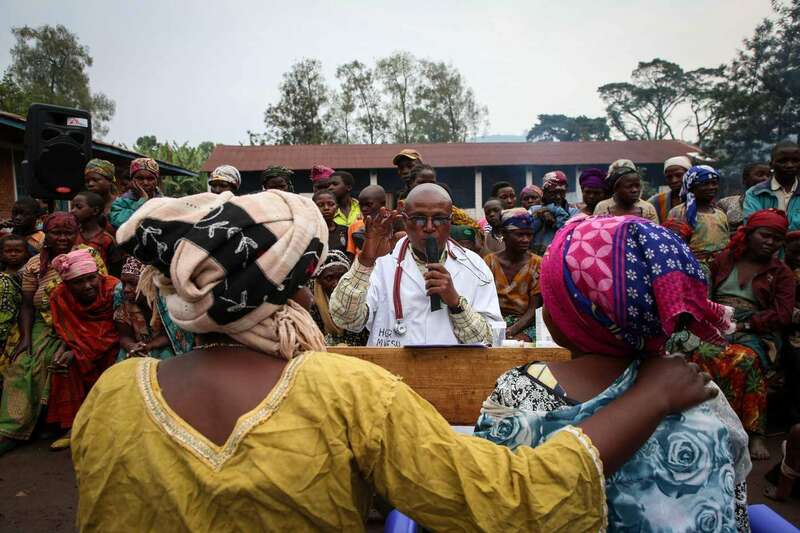 The North Kivu region of Congo that borders Rwanda and Uganda, and home to Virunga National Park, has been in a state of constant unrest since the Great Lakes Crisis that began after the Rwandan genocide in the mid-1990s. 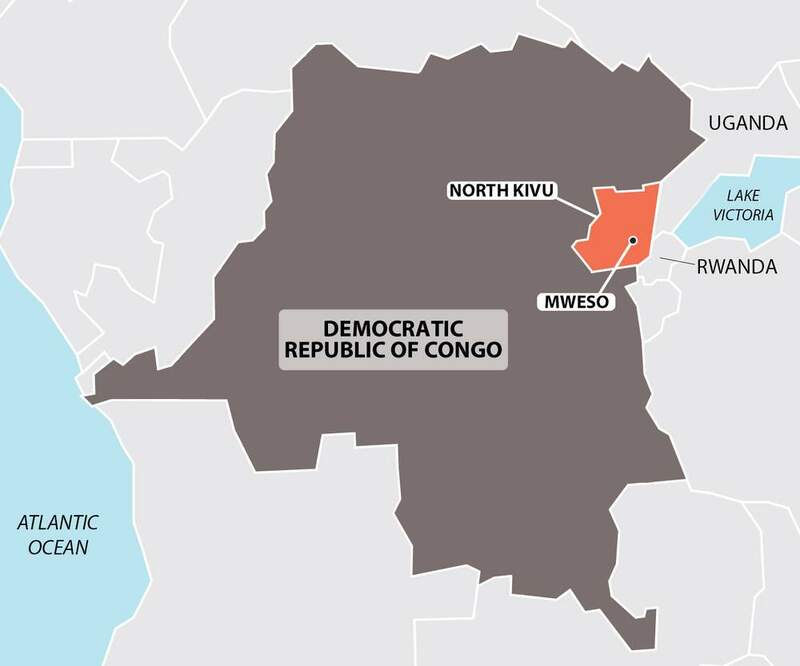 The second largest country on the African continent by area, Democratic Republic of Congo is a fragile and conflict-affected state and receives more aid from MSF than any other country in which we operate. The team of psycho-social counsellors that Sifa supervises is drawn from the communities surrounding Mweso. Watch our Mweso team at work in our World Mental Health Day film, 'Healing Minds'. They connect with their clients using empathy, by creating a safe and secure environment where they are able to work through the traumas they have lived. Coming from the same communities as their clients, the Mweso team understand all too well the social taboos around mental health, as well as the traumatic events people are subjected to on an almost daily basis. 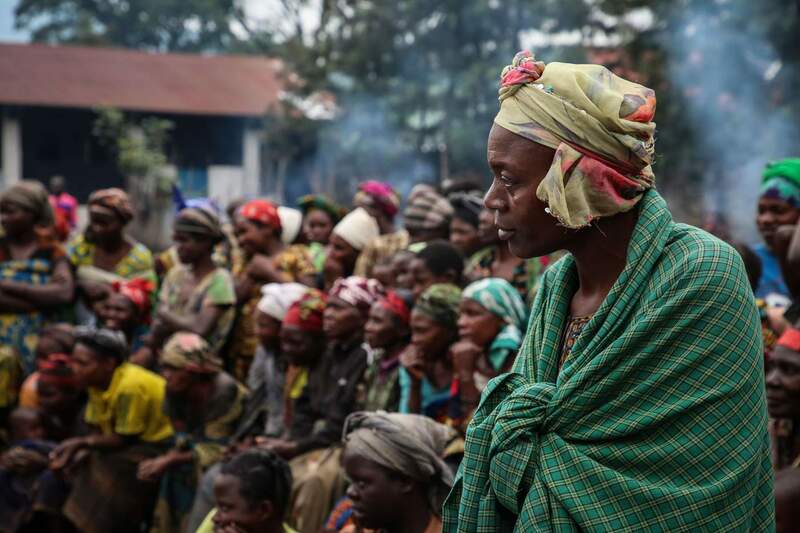 Conflict, armed robberies, and sexual and domestic violence are just some of issues people face in North Kivu. Theatre is one of the many interventions the team provides. 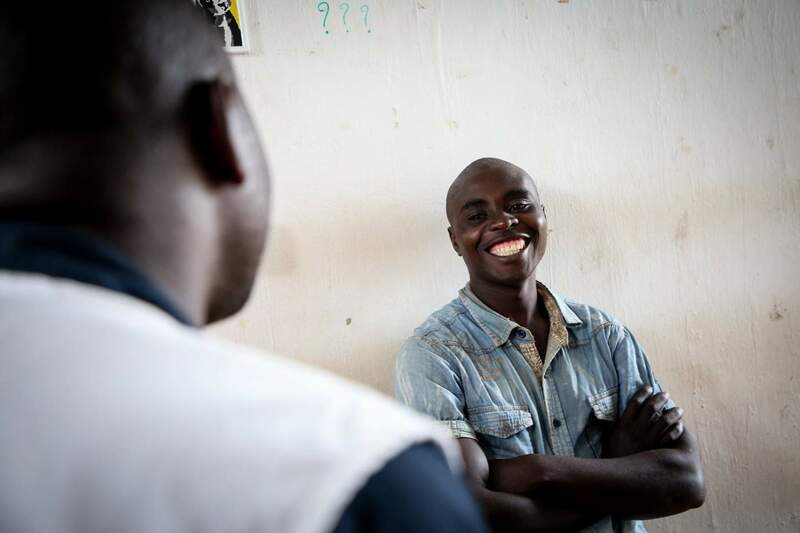 Along with psycho-educational activities such as this, Mweso’s mental health team also provide therapeutic counselling for trauma related issues - such as sexual violence, psychological first-aid, psycho-social stimulation for nutrition, individual counselling and support groups for people living with conditions such as HIV, TB and diabetes, as well as referrals for psychiatric care. Democratic Republic of Congo is the second largest country on the African continent by area, after Algeria. “I was constantly worried and still occasionally have flashbacks,” says Imani Stanley. 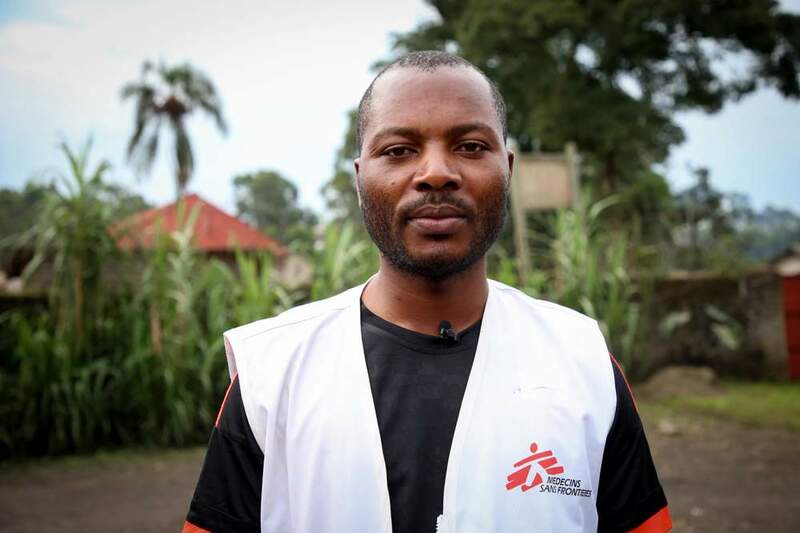 Stanley began his MSF career in 2008 as a guard in our Kitchanga project, an hour’s drive south of Mweso. 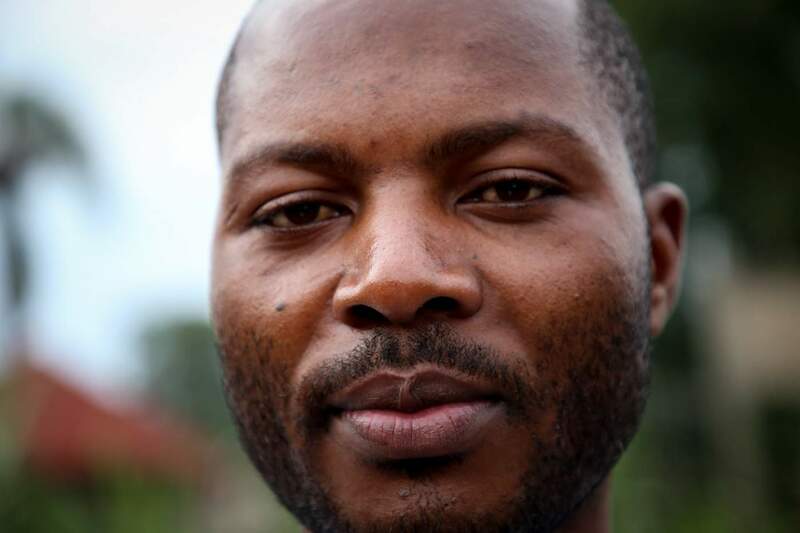 His intelligence and initiative saw him progress quickly to becoming a counsellor – he studied Psychology at university in Goma and speaks six languages, including English, French, and four local dialects. He was recently promoted to an Assistant Administrator. 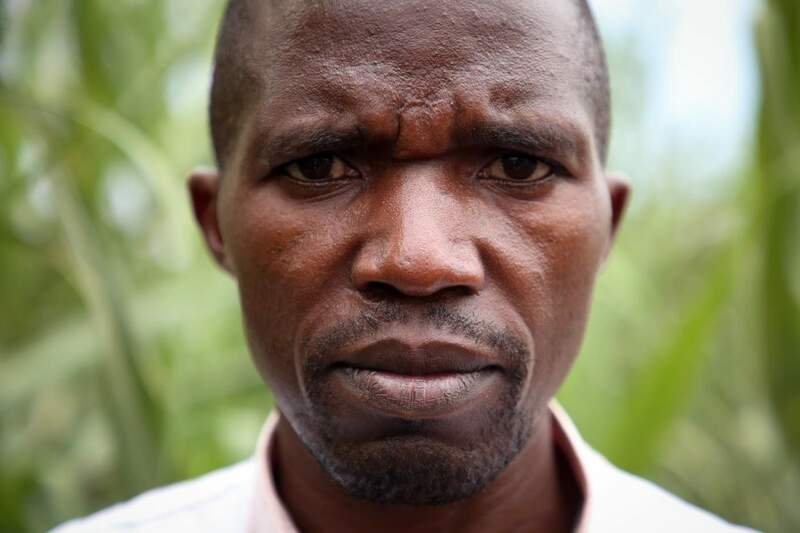 In 2013, Stanley witnessed the horrors that many people in North Kivu have become accustomed to. In February of that year, the conflict reached Kitchanga. 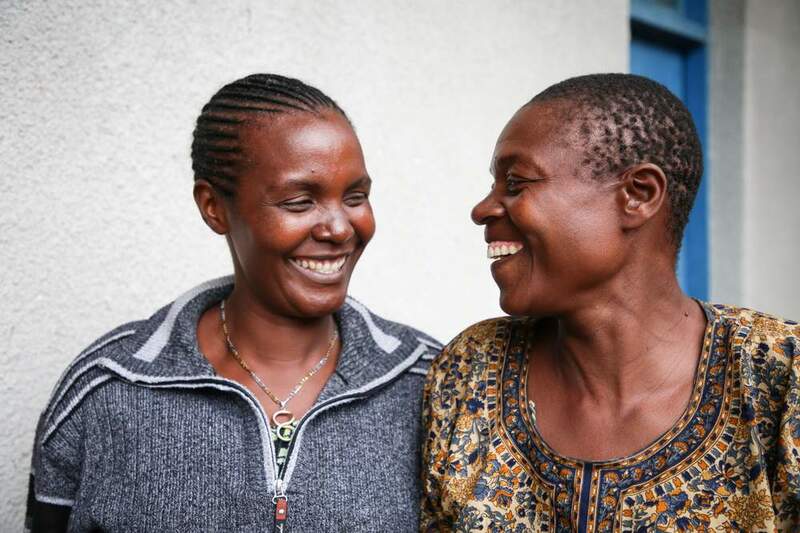 “I was working in Mweso at the time, but my family were living in Kitchanga. We had two houses, one for me, my wife and children, and one for my mother,” says Stanley. 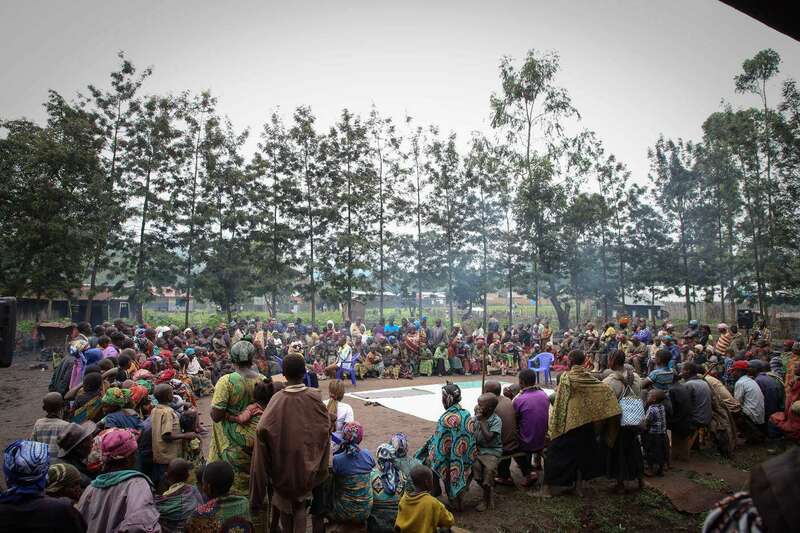 While Mweso and the surrounding area haven’t seen that level of fighting in the past four years, there is almost constant low-level conflict between armed groups, and people are regularly subjected to violence. “About two weeks ago,” says Stanley, “two of my cousins and my uncle came face-to-face with bandits on their way to their field, next to a small lake near Kitchanga, and were fired upon. “They took refuge in the lake, but the bandits surrounded the shore. We found their bodies three or four days later and we buried them there. It’s hard to imagine being able to psychologically come back from these events, but through Stanley’s training, he’s found ways to cope. “As counsellors, we help our clients by listening to them, but we can also connect with them over our shared experiences,” he says. 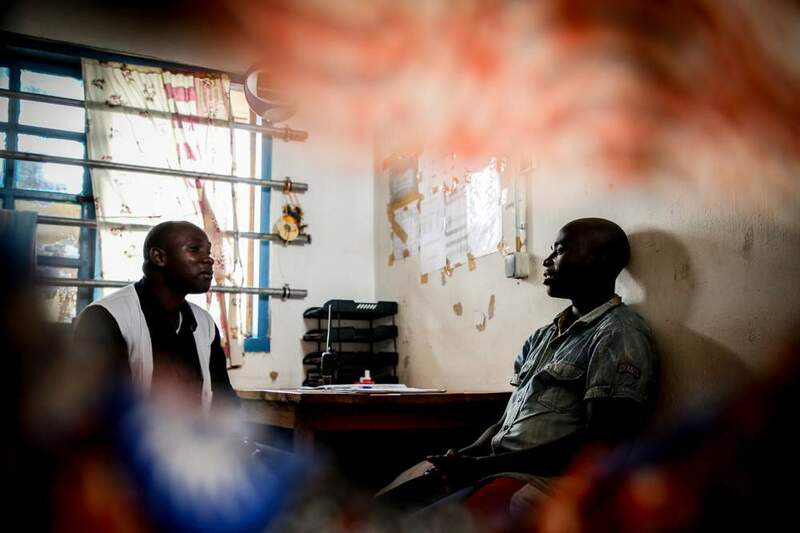 While this might not be common practice elsewhere, this method has helped to break down barriers in Congo, to connect with people initially sceptical to the benefits of mental healthcare. 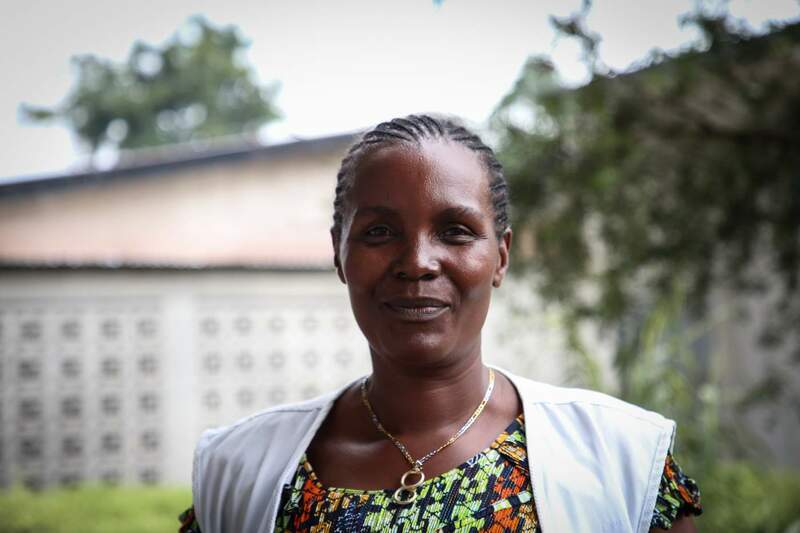 Jaqueline is a widowed mother of six children, and has been working as an MSF counsellor since 2009. She echoes Stanley’s sentiments: “Working with our clients really helps us. We see that if we’re faced with the same problems as them, we can also cope and life can go on. In 1996, at the height of the Great Lakes Crisis, Jaqueline and her family were forced from their home. 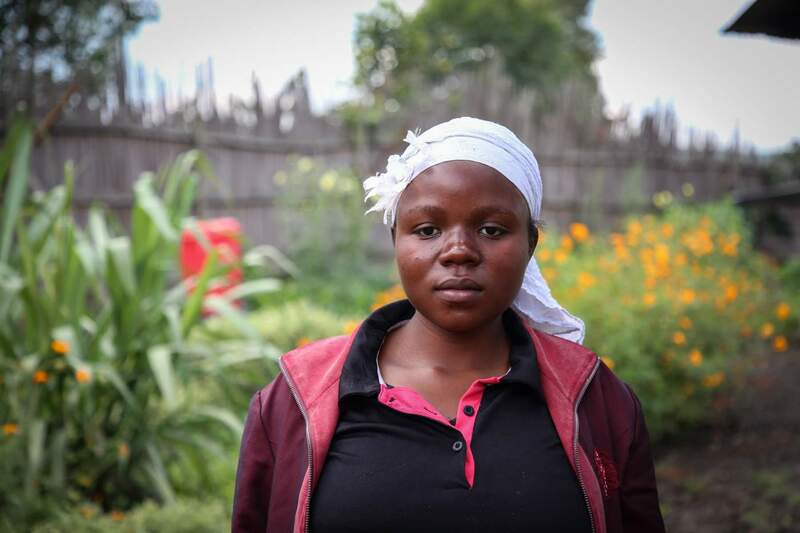 For five months, they slept in the bush, with nothing but a sheet of tarpaulin for bedding. “We slept on the ground, no mattresses, nothing else,” Jaqueline explains. “My little sister died during the war, along with her baby. We never found her body. “At that point I was affected, for sure. I wasn’t sure she was dead. I held on to the belief that she was alive. “But what makes me happy, what helps me is that she left a son, her first child, who stayed with my father. He’s a big boy now. As a counsellor, Jaqueline has a fervent belief in the power of mental healthcare. However, she’s not oblivious to the fact that mental health problems are sometimes a taboo subject in the community. “When we say someone has a mental health problem, people right away begin to talk about ‘madness’ or ‘craziness’. 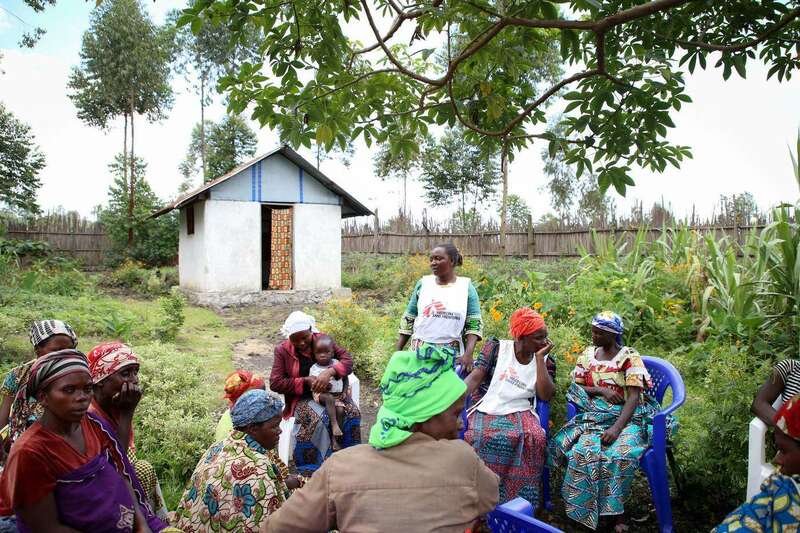 “But I see that everyone, nearly all Congolese, are concerned by mental health problems in some way. It’s a service that’s neglected across the country. “A lot of people display [aggressive] behaviour that, to the untrained eye, won’t be seen as psychologically abnormal. 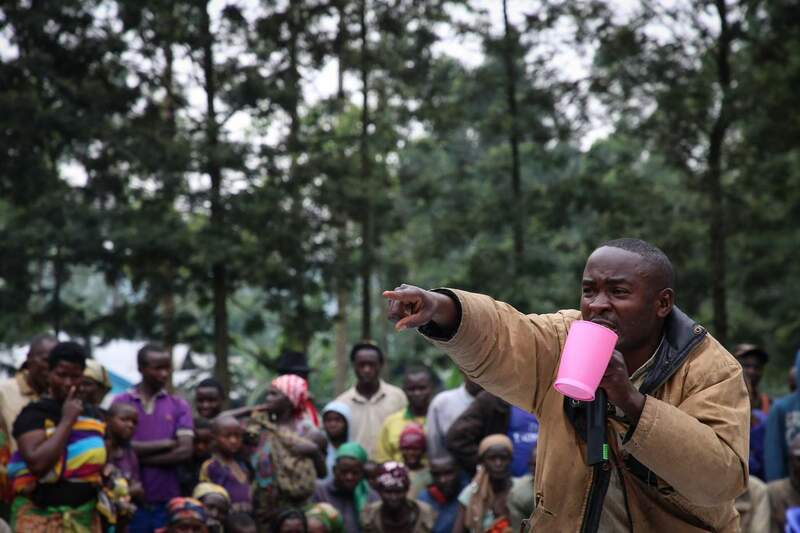 Back at the displaced persons camp in Mweso, the play is halfway through its three-hour run and a distressing scene is taking place. The daughter of the neglectful father is out collecting firewood, when she is approached by two armed men. They chase her through the woods, catch her and hold her down. What follows isn't shown, but many people in the audience know what comes next. Some wipe tears from their cheeks. “Sometimes, people cry when we tackle things they have experienced in their own life,” says Sifa Clementine. Traumatised, the daughter returns home. The next day, an MSF outreach worker comes to her village to promote the services MSF provides, including counselling for survivors of sexual violence. 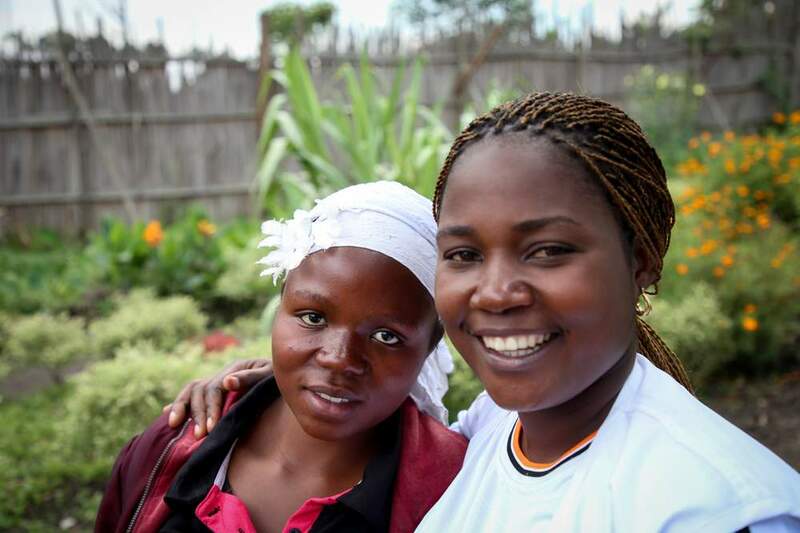 With the help of her mother, the daughter makes her way to Mweso hospital to talk with an MSF doctor and psychosocial counsellor. As Sifa says: “Not everyone accepts the idea that people can be cured with words.